With Google’s entering the smartphone game for real with its Pixel phones, it seems Android manufacturers have been scrambling to get software updates to their devices more quickly than ever. ZTE is the latest, with a beta update to Nougat available for those who sign up via its community forums. There’s an approval process, but it bodes well for a release not too far off in the future. The Axon 7 joins several other devices in Nougat support (if still preliminary), which appears to be rolling out surprisingly fast compared to the usual Android upgrade pattern. The LG V20 was the first device to launch with the OS on October 26, and the company’s G5 has recently begun receiving updates to the OS as well. Huawei’s Mate 9 is also launching with Nougat, while Motorola’s Moto Z line, HTC’s 10 and M9, and Sony’s Xperia X Performance and XZ have started updating the past couple of weeks. Meanwhile Samsung’s S7 series, the OnePlus 3 and 3T, the Honor 8, and now the Axon 7 all have beta builds available, so at least the people who care about such things can try out the updated OS. That means almost every major Android flagship has access to Nougat in some form less than two months after its wide release (not counting the Nexus OTA in August). Of course, this is likely also due to Google’s new update strategy this year. 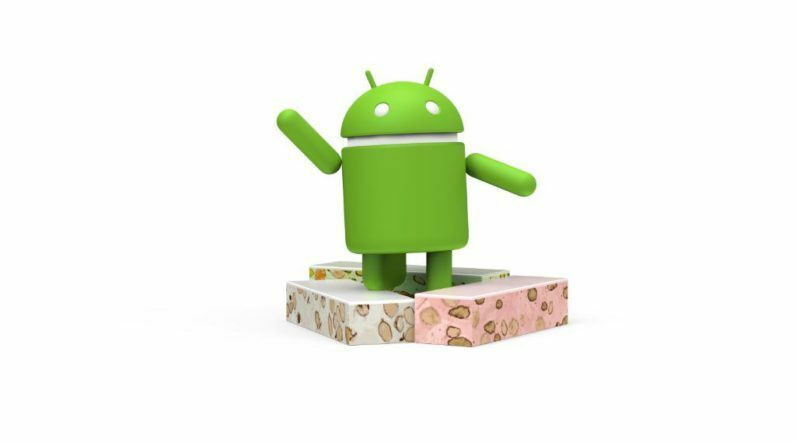 While the first device to run it out of the box launched in October, enterprising users have had access to Android 7.0 via Google’s beta program since way back in March, and manufacturers even earlier. One would hope companies could get it together with that amount of time. There have also been reports that Google is working on separating its core OS – the part that really needs to be updated – from OEM additions. The company has already started to do so to some extent with its monthly security patches. It’s also worth noting that Nougat 7.1 brings some useful updates, mainly Daydream VR support on compatible hardware, and there’s no word on 7.1 support for most of the companies aboved. But caveats aside, the point is more devices seem to be receiving updates more quickly than ever. It’s nowhere near iOS – how can it be, with such a variety of manufacturers? – but maybe, just maybe, Android doesn’t have to be so fragmented after all.